In order to integrate Pipedrive and SalesScreen, you will need to have a Zapier account. 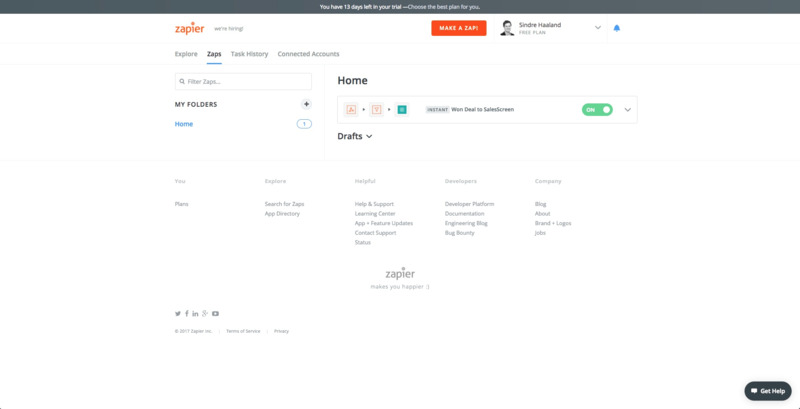 Zapier is a third party service that enables multiple integrations between a variety of different software, including Pipedrive and SalesScreen. If you do not already have one, feel free to sign-up for a free trial account. 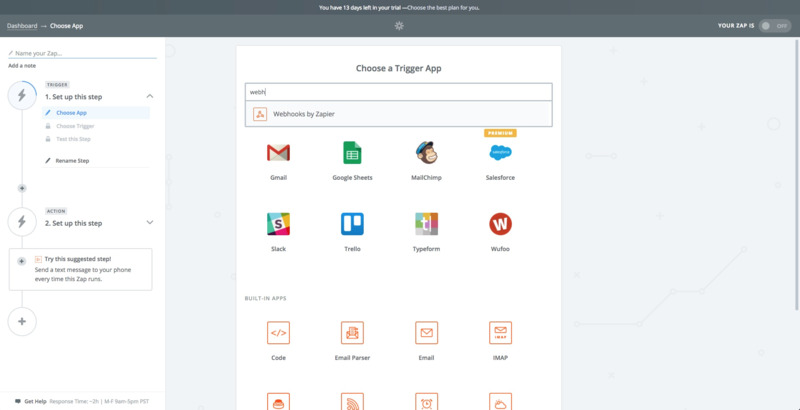 Next step is to connect your Zapier account with SalesScreen. 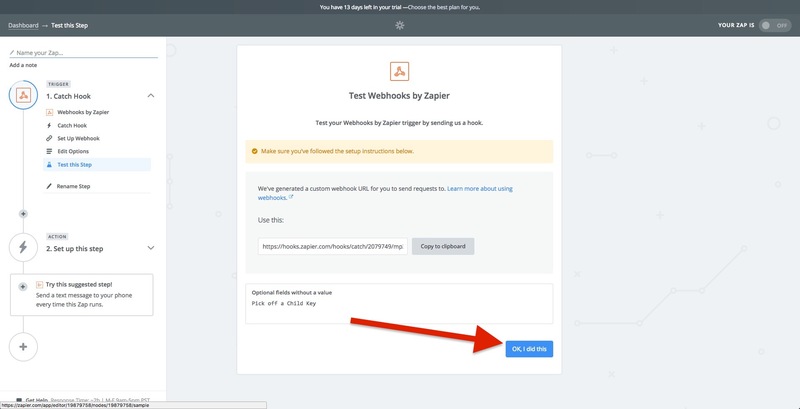 We have a separate guide to show you how to do so. 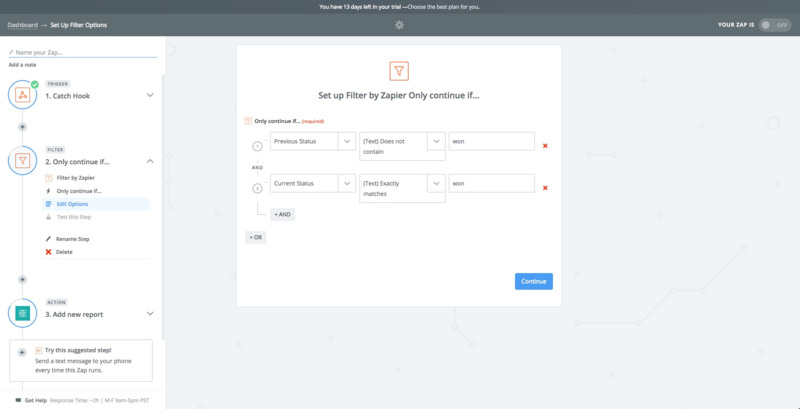 At this stage, you should have a Zapier account and authenticated Zapier with SalesScreen, meaning Zapier is allowed to add data to your SalesScreen account. 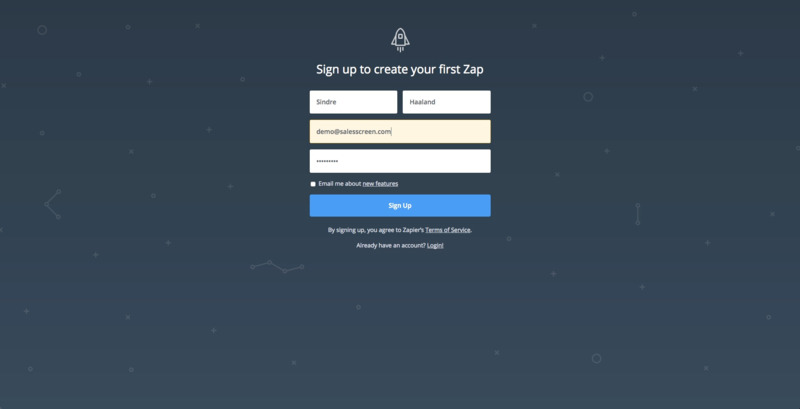 Zaps is the term Zapier use to describe each individual "bridge" between two systems. 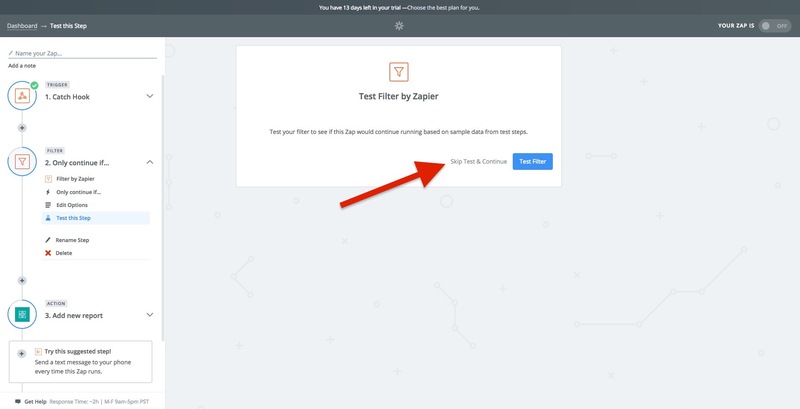 It is in the actual Zap-setup you will decide what behavior in one system should trigger data to flow to another system. 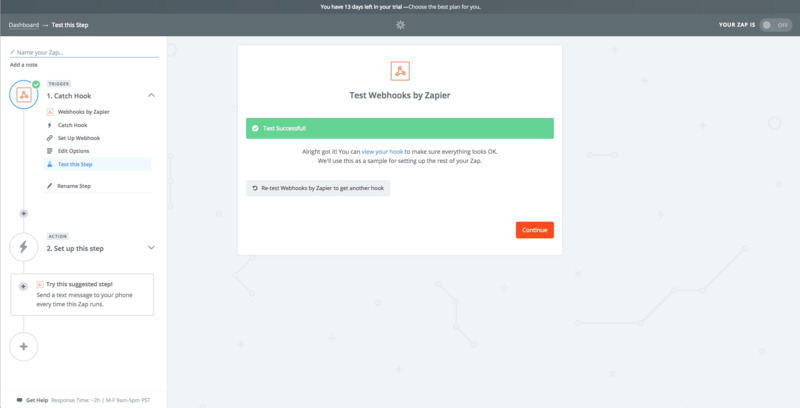 Zapier usually asks for new data every 5 minutes, and pass them along to the other system. 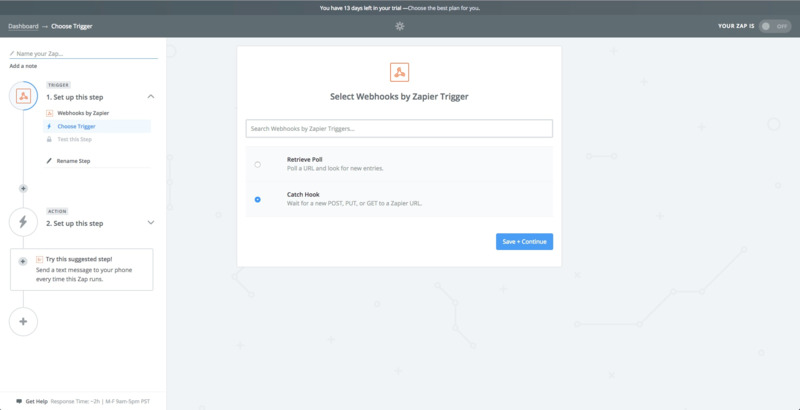 However, it is possible to make it real-time by utilizing Webhooks - which we will do in this guide. 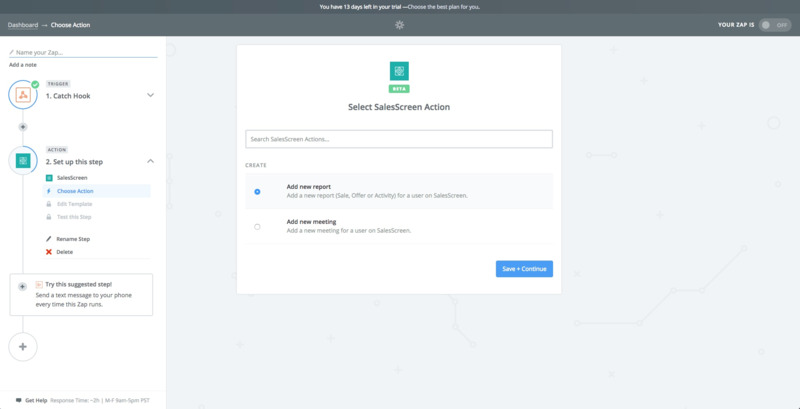 In the example of SalesScreen and Pipedrive, we want to instantly add new deals won as Sale in SalesScreen, new Activities marked as done as Activity in SalesScreen and Meetings added in Pipedrive as Meetings booked in SalesScreen. 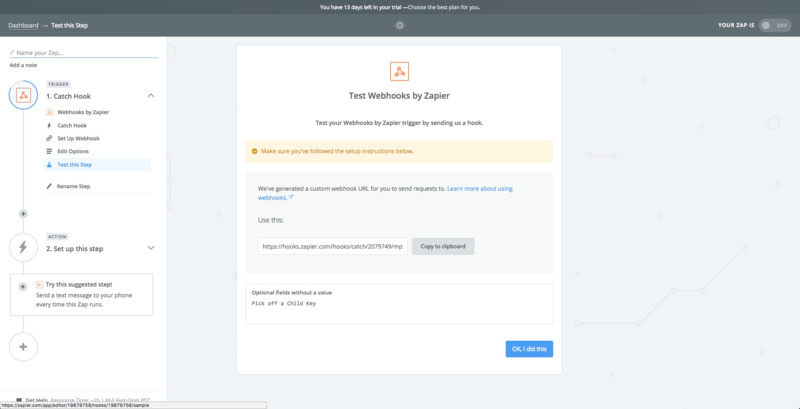 Now a new URL is ready, which Pipedrive will pass data to. 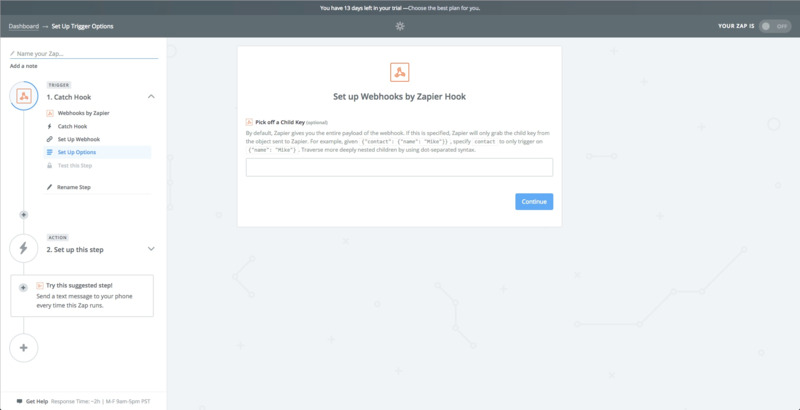 Click "Copy to clipboard" - we will need this to setup the actual "Webhook" in Pipedrive. 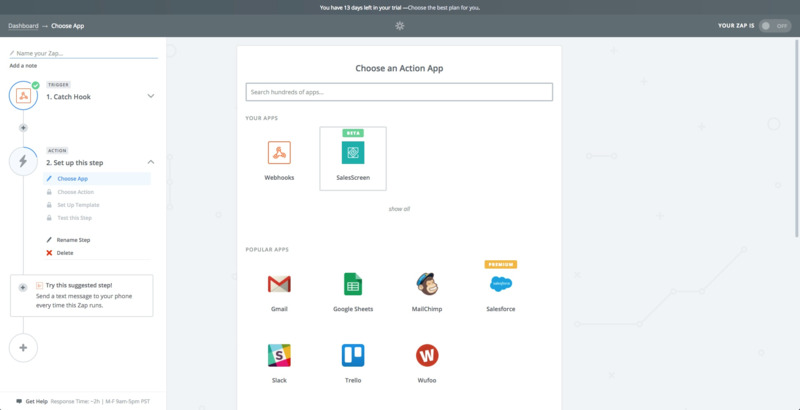 This is the unique identifier of each report added to SalesScreen. We pick the "Current ID" here seeing as it is the unique identifier of this particular Pipedrive Deal. We need some way to know which user this new sale should be added on. 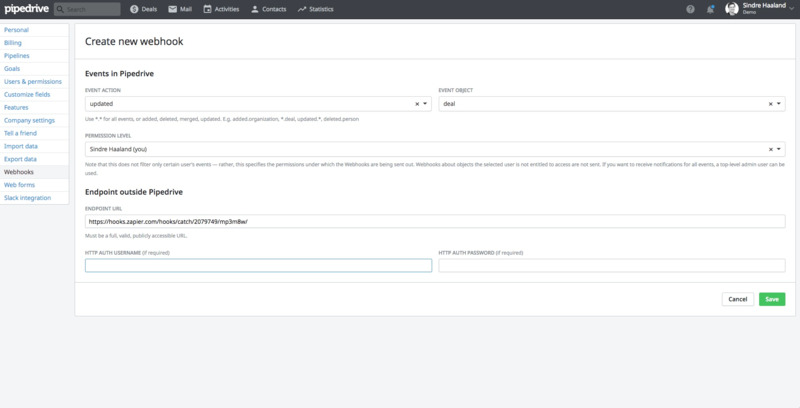 By selecting Current User ID, we can map the users in SalesScreen and Pipedrive on this unique identifier. 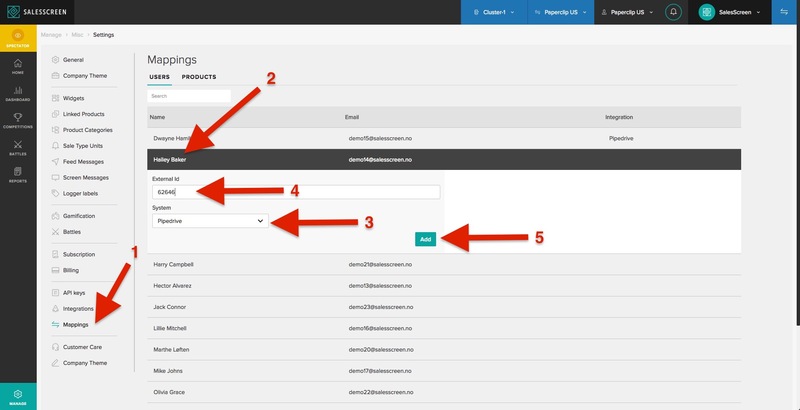 I will show you later on in this guide how to find all Pipedrive User IDs and add them to SalesScreen. 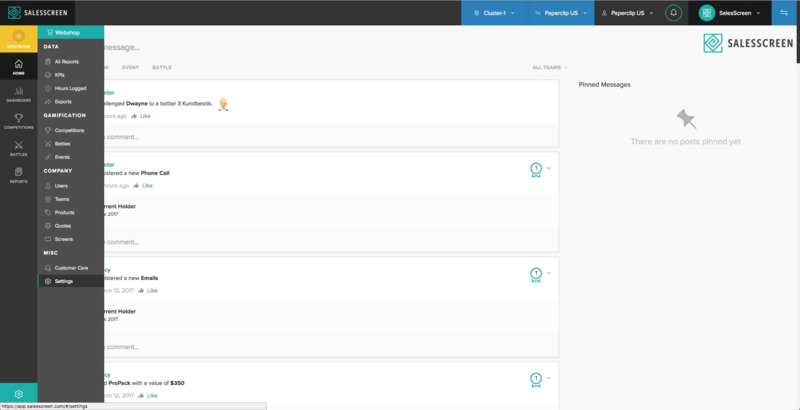 SalesScreen supports multiple different types of "products" that sales should be added on. In the case of SalesScreen and Pipedrive, the normal way is to add all won deals under the product "Sale". 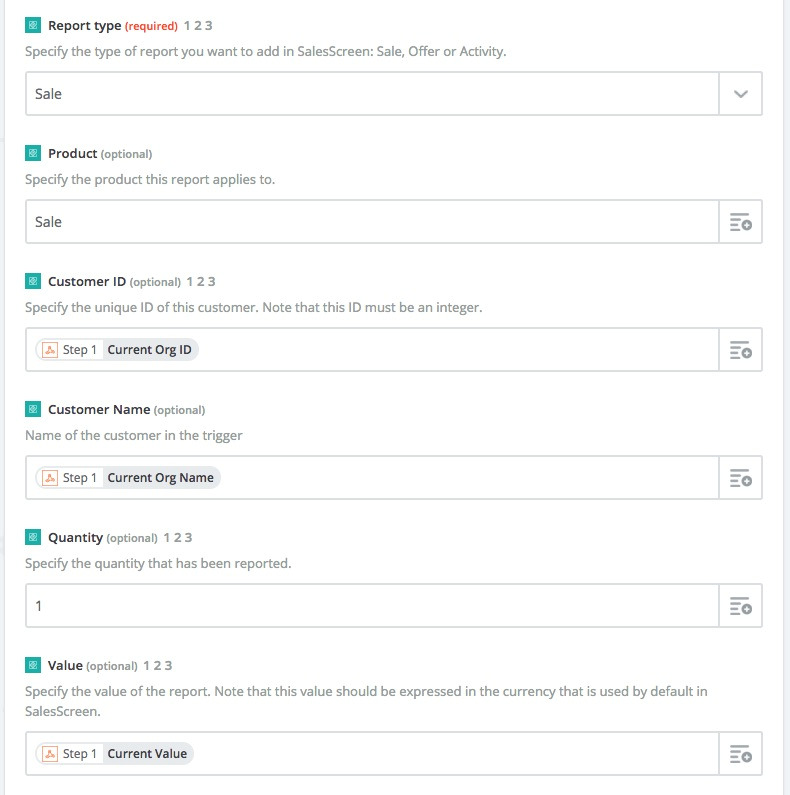 By writing Sale here, this product will automatically be created the first time a report is added in SalesScreen. This is the Customer ID in SalesScreen. If you have a custom numerical field in your Pipedrive you would like to use instead of the unique identifier of the organization, you can pick that instead - or just leave it blank. 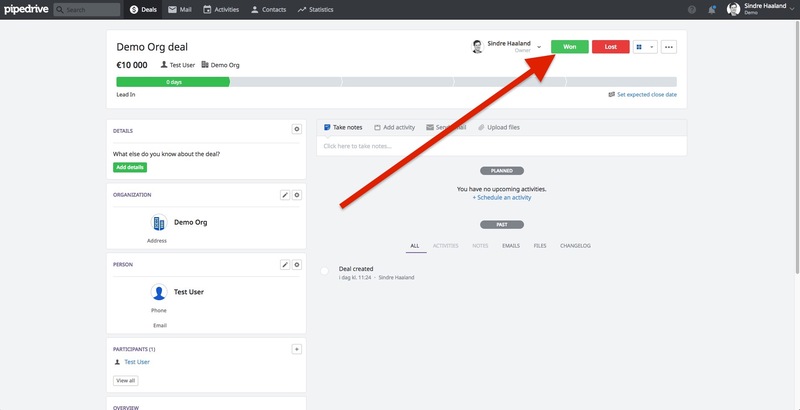 This is the Customer Name in SalesScreen, so it should correspond to the Organization Name in Pipedrive. This is done by selecting Current Org Name. This is the number of sales in SalesScreen, and should be kept at 1. This is the actual deal size, and should correlate with the won deal size in Pipedrive. 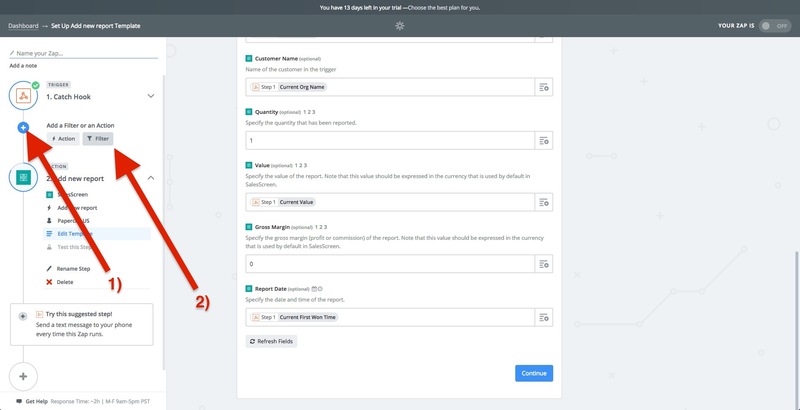 This is an optional second numerical value on each report in SalesScreen, useful for those who operate with both Value Sold and actual Gross Margin on the sale. So if you have such a field in Pipedrive, you can select this instead. Default is 0. 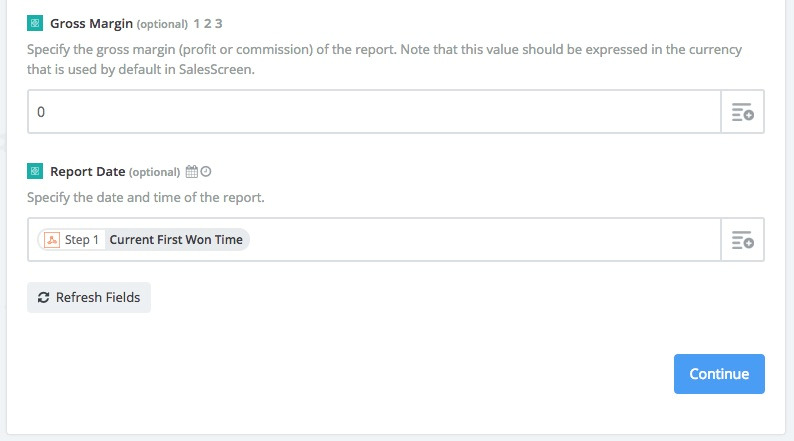 This is the time of the report in SalesScreen. If kept blank, it will be the time the sale is passed to SalesScreen. 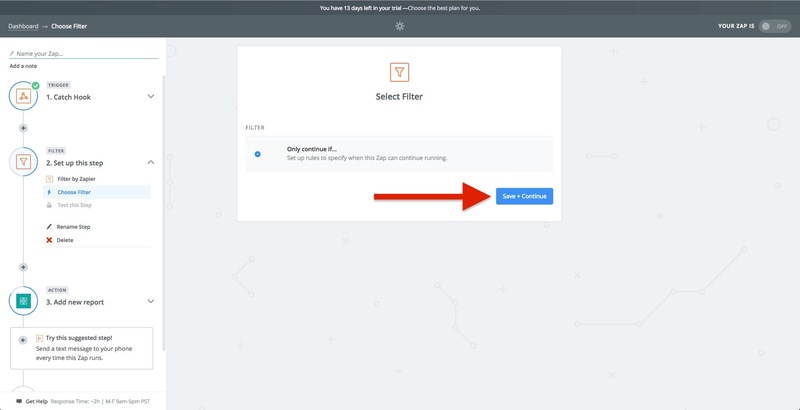 Current First Won Time is selected so it is exactly the same as in Pipedrive. 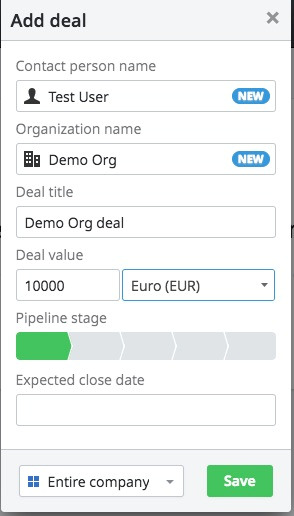 Useful if you update old deals before setting up the integration, so that they appear on the correct date of getting the sale. 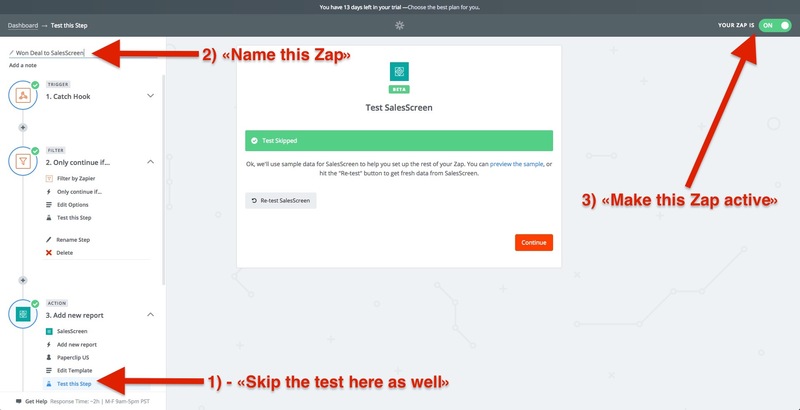 Your Zap is ready, so now we only have the last step left - connecting SalesScreen users and Pipedrive users through the unique identifier that Pipedrive use. First we need to get the complete list of all the Pipedrive User IDs. The easiest way to do this, is by using the developer documentation of Pipedrive. 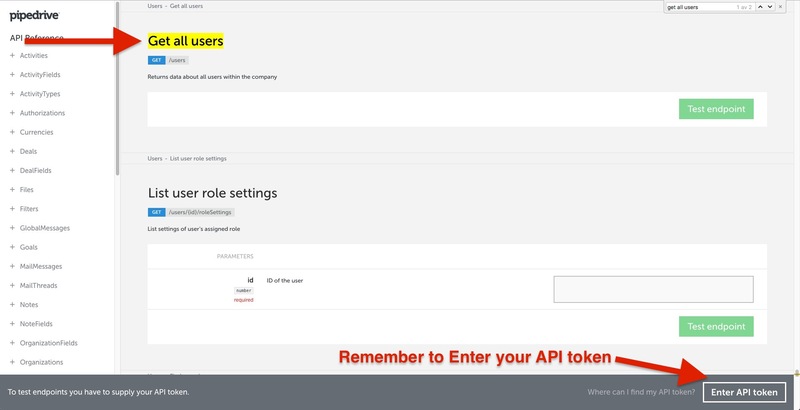 You will need to enter your API token - here is the Pipedrive guide on how to retrieve this. 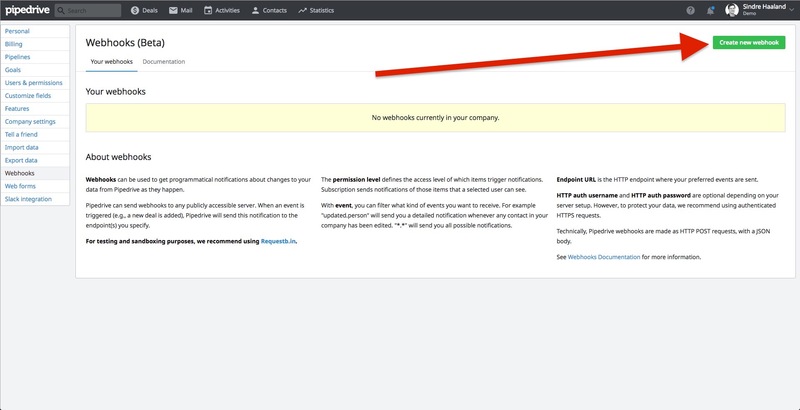 Open the Pipedrive API documentation and find the Get All Users method. 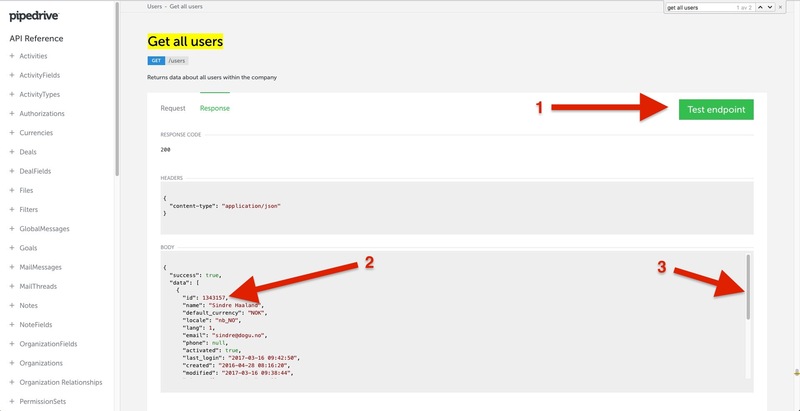 "Test endpoint" (1) on Get all users in order to retrieve the full list of all your Pipedrive users, and their corresponding unique user identificator (2). Scroll down to see more users (3). 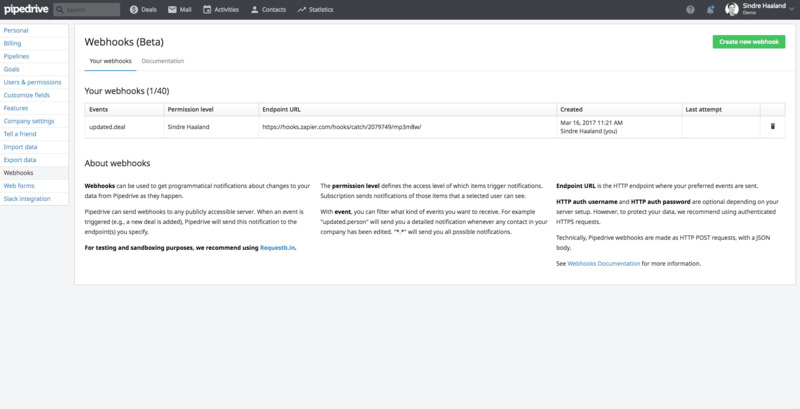 Navigate to SalesScreen, click "Manage" and "Settings"
Then click on the "Mappings" item (1), select one of your SalesScreen users (2), pick Pipedrive as the system (3) and enter the unique identifier corresponding to the user you picked from the information retrieved on the pipedrive documentation above (4). Finally, add the entry (5).